I turn my thoughts back 5 years. It was Easter, April 4th, 2010 when we were really blindsided. I don’t recall hearing any rumblings prior to finding out the news that, at least by my standards, the greatest quarterback in Philadelphia history had been traded to the Washington Redskins. Donovan McNabb was no longer with the Eagles and I don’t think anybody saw it coming. It was a bitter pill to swallow but you know what? It turned out to be the right move. When I woke up this morning though I honestly forgot that it happened yesterday. It felt too surreal. Shady McCoy, arguably the best RB in Eagles history is now gone. I guess at least this time we had rumblings beforehand though? This Shady McCoy trade is another bitter pill though. But first, lets switch sports for a second. Ryan Howard. Once beloved Philadelphia superstar who led the Phillies to National League Championships and our jewel 2008 World Series. He was 2005 Rookie of the Year, 2006 MVP, 5 time all star, he could practically do no wrong. What happened there? The Phillies gave him a thank you for greatness, paid him what he was worth at the time, a 25 million dollar, 5 year extension, and 18 months later he blows out his achilles. 4 years later unfortunately 90% of Philadelphia hates him because he’s overpaid and not worth the price. 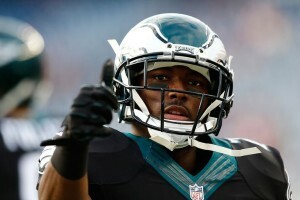 Shady McCoy was set to make around 10 million dollars this year which is very close to the highest salary of any RB and he still had a couple more years left worth over 7 million. He’s 27 and not getting any younger. Yes, I loved watching Shady run. He was absolutely phenomenal and his cuts are probably the closest thing we’ve seen since Barry. An amazing sight and he will be missed. I don’t think last year’s down year was entirely his fault. Next year will probably be gut wrenching watching him waste away in Buffalo. However, imagine never giving Ryan Howard that extension, watching him pop his achilles in 2011 and then walking away in 2012 at the end of his contract. How would you feel about that? 100% of this city would be much happier. In return for Shady, we get a younger, possibly game changing stud linebacker who is far, far cheaper. My main concern is Kiko Alonso has a bad injury history. It’s scary. But Kiko’s on-the-field numbers for his only full season may be scarier… for offenses. He’s a game changer. Eagles fans have been pleading for linebackers for years. We now have 2 really good LBs in Alonso and Kendricks and a ton of cap room. Another worry though is about where Shady’s lost production will come from. When they let DeSean walk, I wasn’t this worried. He only showed up for a few games a year anyway so how bad could it be? That turned out pretty bad. We didn’t replace his production with anyone and we missed the playoffs by only 1 of those 4 games DeSean could have showed up for. Shady was there, front and center, for every game. I like Polk but he is not scaring defenses like Shady, or even DeSean did. We lost our two scariest weapons in back to back seasons. You have to reload the gun at some point and I don’t know who’s gonna replace Shady. It looks like 2015 will be a rebuilding season. At least 7 new starters on defense will need to gel and who knows what the offense will look like. Back to back 10-6 seasons where you thought we were moving forward were just rebooted. 6 months ago it felt like the Eagles would be closest to winning anything in this city but it looks like the Sixers may be the best hope of bringing us a championship at this point. That is until Sam Hinkie trades Embiid tomorrow. Previous Post Officially a cord cutter. For real this time.